Human Givens Blog: What are 'human givens'? Regardless of cultural differences, we are all born with innate emotional needs and the resources needed to fulfil them (collectively these are termed the ‘human givens’ as they are the givens of our human nature). When we are lonely our brain tells us we need stimulation and rapport so we seek out others, when we get emotionally aroused our brain has the capability to rationalise and question the validity of our state, when we feel listless and useless we can learn a new skill or develop our existing talents in order to give us a valuable sense of meaning and being stretched. Just as it is difficult to think about quantum mechanics when you are dying for lunch, when an environment is not conducive to fulfilling emotional needs, it is impossible to move forwards intelligently and all too often we suffer mental distress and consistently fail to fulfil our potential. Our emotional needs are just as important as our physical ones, which is why if you put a healthy, well dressed, well fed child into a correctly heated and well furnished classroom but don’t provide the right amount of attention, autonomy, meaning, feelings of connection into wider society, sense of status, security and feeling of achievement, it will be hard for it to learn and develop. This basic premise, whilst a fixture in many great ancient cultures, has been greatly overlooked in western society today, leading to many of the problems that are endlessly debated in the media with seemingly no solutions offered. Psychological schools are divided and dogmatic, rates of depression and other life shattering disorders are rising just as fast as our standard of living, our society is strangled by misdirected government targets, endless amounts of red tape, straight line thinking and form filling. It is obvious to intelligent people that our culture is sick and that something must be done. 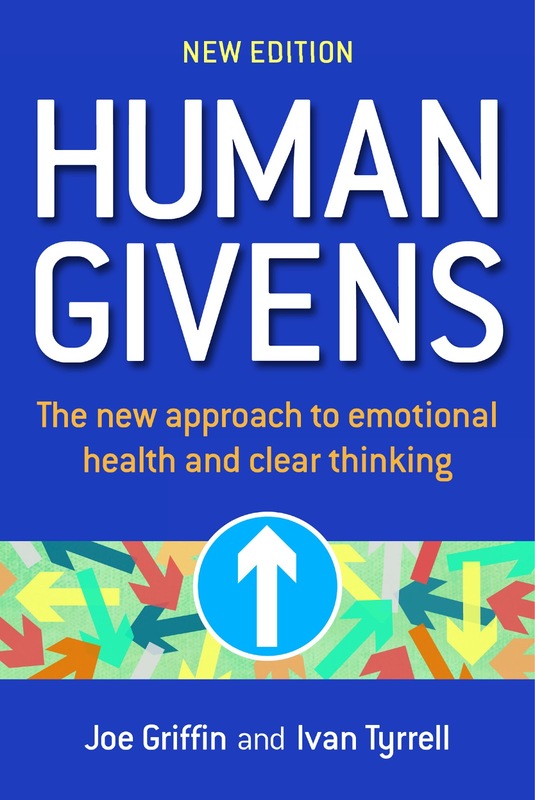 The human givens approach offers a realistic way of how everyone can actually do something to help, using a basic organising idea that is so easy to grasp, most people have taken it for granted. Drawing on scientific and neurobiological findings gathered in the last few decades, it offers explanations of how human beings function, why we dream, how depression is not a chemical imbalance and can be cured, how to treat and cure post traumatic stress disorder, phobias, addiction and anxiety disorders, and how to audit organisations to make sure emotional needs are being met and the company is working to its potential. 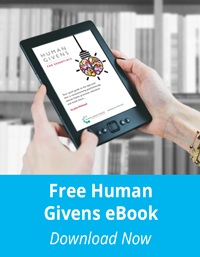 Find out more about the human givens approach. 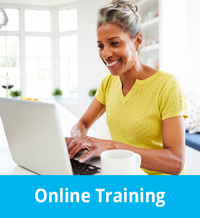 Train with us at Human Givens College courses across the UK and online. 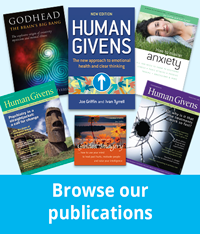 Find all our publications at Human Givens Publishing. 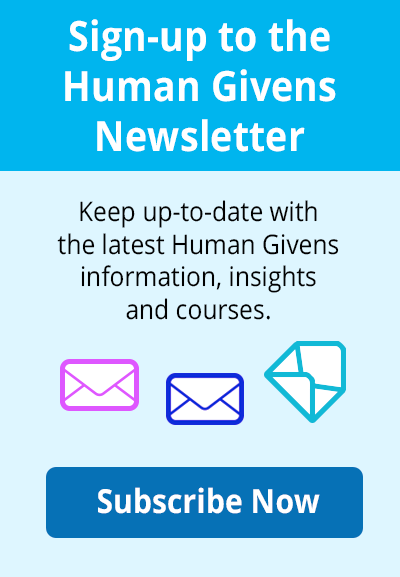 Read lots of free articles from the Human Givens journal.